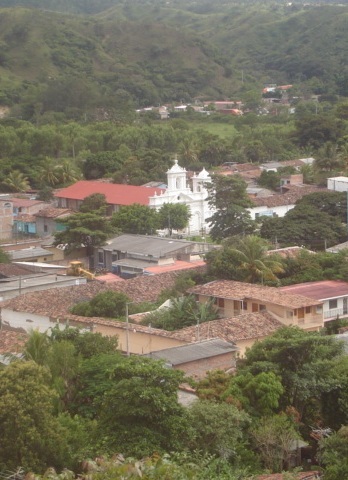 The town of Citalá features a population of indigenous origin and flat topography, with an enviable climate and natural surroundings that include the Lempa River, clean potable water, a central park, and street lighting, all connected to the capital city by the northern national highway. Our town is the cradle of beautiful women and of men working hard to serve the community. The security of the town’s residents, as well as tourists paying us a visit, is provided by the National Civil Police force, firm tax base, and border patrol. Citalá is a town of high religious fervor and dedication to hard work, whose people enjoy a tranquil living environment. It is truly rare to encounter qualities like those brought together in Citalá, where the tourist rapidly comes to feel at home as a result of the ever-present signs of fraternity and hospitality seen in all Citaltecos, a point of pride for all of us, being able to count on these wonderful gifts provided for us in the grand scheme of things. That hospitality and fraternity revives the weary tourist, leaving him impressed and eager to return soon as a result of the sincerity and kindness shared with him by all the people he was lucky enough to come across, because he finds their hands extended in sincerity and their hearts opened to his presence. Citalá is a town small in geographic size but large in healthy ideas and upright customs, with laborious people, and it is characteristic of the open country to find men and women brandishing their hoes and shovels to earn their bread each day for the sustenance of their children. CITALÁ . . . Is a land of dreams, of wonders, and of peace.